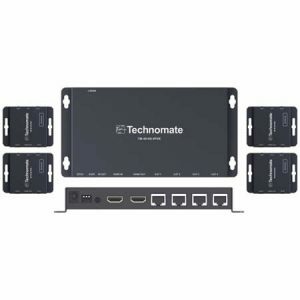 Based on Technomate’s proprietary technology, you can now watch an HDMI 2.0 4K HDR device up to 55m away in 4:2:0 or up to 35m away in 4:4:4. And it supports HDCP 2.2. The video and audio are uncompressed, ensuring you the same quality as using an HDMI cable. Full 3D compatibility, Dolby and DTS HD audio are also supported. 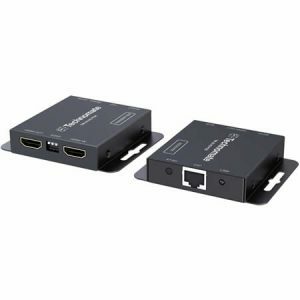 A truly smart solution for HDMI CAT Splitters. 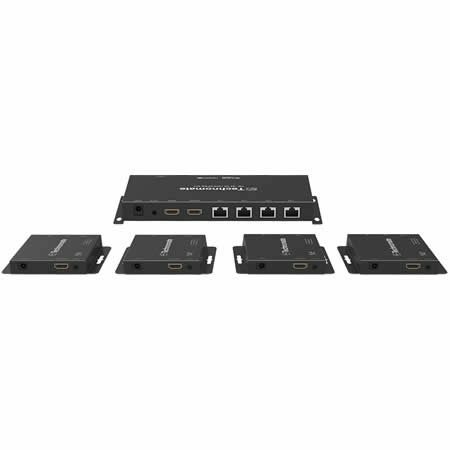 You only need to power the 4-way HDMI splitter. 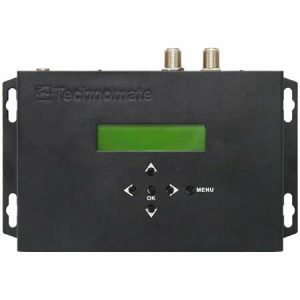 The HDMI receivers require no power as it will receive the power automatically over the same single CAT cable as the audio & video. Therefore, you no longer need a power supply next to the HDMI Receiver’s TV. It is also super slim at only 15mm so can be easily hidden from view, behind a TV. Automatic EDID management is supported to configure handshaking between connected devices. *Please note, “up to” distances above are based on full copper CAT6 cable. For full copper CAT5e cable, distances will be around 10m less.